International bestselling writer Mukul Deva thrills again in Assassins, the scorching sequel to Weapon of Vengeance. Seven years after they conspired to kill Pakistani politician Benazir Basheer, two men, Pakistani Premier Asif Zardosi and ex-dictator General Pervaiz Masharrat, will reach Delhi on the very same day. 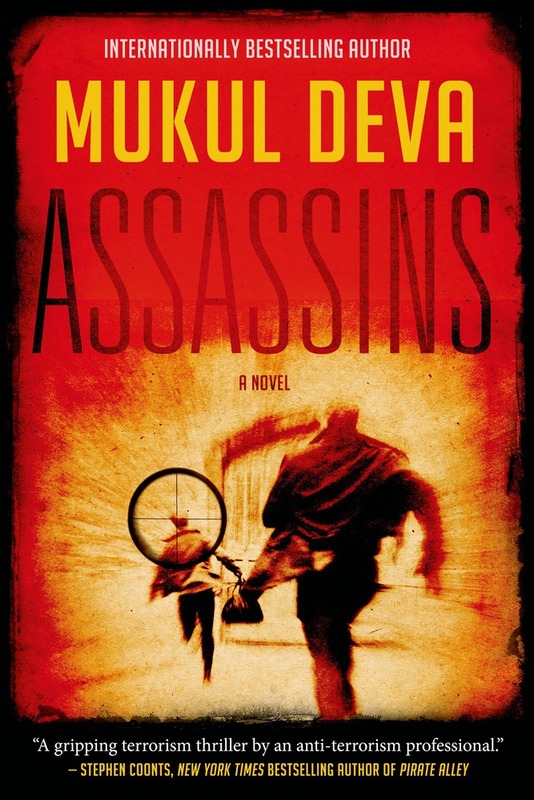 Also converging on Delhi is assassin Leon Binder, who is seeking to bring down the curtain on a deadly three-decades-long career with a spectacular double hit. Standing between Leon and his targets is one man: retired Inspector General of Police Ravinder Singh Gill. But Ravinder is reeling from the death of his daughter, Ruby, and for failing to prevent her from destroying the Israeli-Palestinian peace summit. His self-confidence has been shattered. To make matters worse, his mission becomes immediately treacherous when his most senior officer is found brutally tortured and murdered; it is obvious Ravinder's team has been penetrated. Will Ravinder be able to stop Leon and prevent disaster in India and Pakistan? MUKUL DEVA served as an infantry officer in the Indian Army for sixteen years, and for over a decade was involved in active combat and counterterrorism operations in India and abroad. He is a recognized expert on terrorism, especially the menace of Islamic fundamentalism. After retiring from the army, Deva established a security company that helps protect private organizations and individual in sixty Indian cities. He is the author of Weapon of Vengeance, among other novels, and now lives in Singapore.